Neighbourhoods for a Sustainable Vancouver is opposed to the proposed rezoning of 445 Southwest Marine Drive (Marine Gardens). We are opposed to replacing the superbly designed and functioning Marine Gardens townhouse complex, which has provided an excellent and highly affordable locus for community in east Marpole for more than forty years. for two condominium towers in excess of 20 storeys and a midrise building containing 70 market rental units. Our objections are numerous, and fall into five major areas of concern: 1) area development policy; 2) site implementation; 3) loss of valued community assets; 4) relocation policy and implementation; 5) legal impediments to rezoning and redevelopment. The policy for development of the Marine Station area calls for density and building scale that is excessive, and therefore a threat to health and livability due to excessive generation of traffic, shadowing, and potential to contribute to exceeding the Canada Line and Marine Station carrying capacity. Air quality testing by Metro Vancouver has identified the intersection at Southwest Marine Drive and Cambie as a “hot spot” for noxious and toxic emissions, mostly due to multiple automotive-intensive uses: regional commuting, highway-oriented retail, industry, and area residents. These conditions both pre-date and post-date the opening of the Canada Line. Residents have noted that the station itself is a new source of traffic and demand for parking due to rider drop-offs and pick-ups. Extreme local increases in residents, workers and shoppers (provided with thousands of additional parking spaces) at and around this intersection can be expected to exacerbate air and noise pollution for years to come. Increased engine idling, extended peak time and non-peak traffic will boost the overall pollution load, negatively affecting area workers as well as residents—the very young and elderly in particular. Future emission and noise reduction (e.g. from electric cars and hybrids) and shifts in transportation mode (e.g. to transit, cycling) are anticipated, and should be strived for, but relative reductions may come slowly and fail to compensate for absolute increases in harmful impacts or the number of individuals affected. We understand that existing Canada Line peak-load capacity can be expanded, probably to about double current capacity, if and when additional trains are purchased. Further increases obtained with staggered loading and unloading are more doubtful, and would be counterproductive by increasing trip times. Credible local and system-wide projections for increased demand resulting from Cambie Corridor and Richmond Centre densification, as well as mode-shift to transit have not been made available. The Canada Line was not designed for extremely high capacity use. If excessive redevelopment were to overtax system and/or station capacity, this would discourage mode shift from cars to transit, with consequential impacts on health and livability. The focus on extremely tall building forms clustered at Marine Station will result in major problematic shadow impacts on the public realm and homes, especially lower-storey residences. Already, this is becoming evident: the west tower of the Marine Gateway project, currently under construction, crowds and casts a morning pall over the station platform, as well as eliminating the splendid views transit riders enjoyed since the line opened in 2010. Similarly, as the towers of the new development on the northeast corner rise skyward, they blot out much of the afternoon sun on the Marine Gardens site, darkening it considerably, even when cloudy. Other existing low-rise condominiums, rental apartments, and private homes best casino canada in the surrounding area are being similarly shadowed, and this is just the beginning! While some additional shadowing and loss of views is an inevitable result of densification, these extremities of concentration and scale are having an especially deleterious effect that will be evident in the public spaces and lower storeys of new as well as existing development. The guiding principle of “sensitive transitions” stated in the Cambie Corridor policy is being blatantly ignored in proposed and approved Marine Station-area rezonings. The current proposal to replace Marine Gardens with closely grouped towers is a case in point. We are concerned that through lack of moderation and attention to urban design and livability, redevelopment in the Marine Station area could result in the creation of a highrise slum, with high resident transience, confounding the building of a resilient community, and making social problems more difficult to address. The proposal for redevelopment of 445 Southwest Marine Drive by Concord Pacific is, in our view, problematic for the general reasons stated above. The outside play area for the day care centre would receive only about three hours of direct light during much of the fall and winter, with most other public areas considerably less. This is inadequate, and just a fraction of the light that currently falls on comparable public spaces at Marine Gardens. Lower storey dwellings would be mostly shadowed by the development itself as well as adjacent tower projects. In a recent radio interview, the General Manager of Planning and Development, Mr. Jackson, indicated that preservation of Marine Gardens is not an option because it would no longer be livable, due, presumably, to impacts from the adjacent tower developments. While this may indeed be true, it begs the question of why this project, proposed to replace Marine Gardens, would be any more livable, especially since its own towers would further increase shadowing of the ground and many dwelling units. We are left with the impression that livability only matters to Mr. Jackson in the context of hyper-expensive upper-storey units and penthouses! Approval of this application will mean the loss of one of the best designed and functioning moderate-density, livable, affordable, socially and environmentally sustainable family-oriented housing complexes in Vancouver—or anywhere. Partly conceived as a demonstration project for the United Nations Habitat conference held in Vancouver in 1976, it has long proved its worth, providing a safe and supportive community, rich in social capital. Marine Gardens has many advanced features, including a variety of public and semi-private exterior spaces, excellent soil permeability (to assist drainage), district energy, and an integrated day care centre. The brilliant landscape design (by Cornelia Oberlander) features small but useful lawns and a fine balance of deciduous and evergreen trees and shrubs, providing filtered shade when desired during the warm months, yet plenty of light penetration in fall and winter. These car-free spaces are a safe-haven for children as well as songbirds and other urban wildlife. Like a Japanese garden, this complex gives the impression of being larger, more intricate and interesting than its 1.6-acres. The West Coast-style homes (designed by Michael Katz), while simple and inexpensive, are highly functional and attractive inside and out. Workmanship and materials are excellent; if maintained, these homes could continue serve families in Vancouver for many decades to come. The units were constructed off-site while foundations and the small underground garage were prepared; then trucked in and assembled as rowhouses. There is no reason that this process could not be reversed, enabling, if necessary, reconstruction of Marine Gardens on another suitable site. Lumber of this quality is no longer available at reasonable cost. It would be a terrible shame to reduce these well-built homes to sawdust or landfill. At 45 two and three-bedroom units per acre, the 70-unit complex is significantly denser than a typical “single-family” neighbourhood, yet comparable in scale and character. Marine Gardens deserves an “A” listing on Vancouver’s heritage register. Its value for informing future family-oriented development is incalculable. If this or a future rezoning application were to be approved despite the problems cited above, a CAC could go a long ways towards securing a replacement site and/or funding reconstruction of Marine Gardens. At first glance, the relocation assistance offered Marine Garden tenants seems generous—perhaps even precedent-setting. But we are in an era of precedent-setting housing costs. On closer examination, it is apparent that many simply cannot afford the expensive replacement units in the proposed rental building, even with a 20% “reduction.” Moreover, these units will not be nearly as suitable for families with children as the rowhouse dwellings or the verdant human-scale environment they now enjoy. Alternatively, the few thousands of dollars offered in severance will only help subsidize rental accommodation elsewhere for a few months before it runs out. In short, with long wait lists for social housing, this offer for many of the families constitutes a ticket out of Vancouver, or possibly even into homelessness. Acceptable relocation would consist of comparable accommodation at comparable rates, or no greater than 30% of household income. That said, no relocation package can replace the trust and supports of longtime neighbours that Marine Gardens provides. We are also very disturbed to learn of pressure tactics recently being applied by the developer to obtain acceptance by the tenants. It has come to our attention that land title documents for 445 Southwest Marine Drive have mysteriously gone missing. We find this particularly worrisome as some of the current residents were told by former residents that there are legal covenants on this property regarding protection of the trees, and possibly future uses. What is known is that at the time the site was rezoned to permit development of Marine Gardens a portion of the site was identified on city land-use maps as “Delta View Park”, which leads us to think there could indeed be such covenants. It is our understanding that agents of the current owner, Concord Pacific, have admitted to concerned Marine Gardens residents that they have been unable to locate the land title. We therefore request that this situation be fully investigated, and satisfactory answers obtained before a Council vote is taken regarding this application. Unless and until these outstanding issues are resolved, a cloud will hang over the legal status of this property and its future uses. We close by requesting that you take each and all of these concerns under consideration before coming to a decision on the future of this site, and, most importantly, the fate of the exceptionally fine and historic housing complex it holds and the community it so ably serves. Reproduced below is the full text of the NSV letter submitted to Vancouver City Council concerning the Proposed Amendments to the Downtown Official Development Plan (including changes to West End and DTES Local Area Plans). This policy document will be debated and considered for referral to a Public Hearing at the Council Committee meeting on February 4, 2015 at 9:30 am. Neighbourhoods for a Sustainable Vancouver is opposed to referring this report to public hearing as currently proposed. The letter from CANY addresses a range of process issues and suggests that the subject report is not ready for referral to public hearing. We agree. – Why is the title of the report only about the DODP when the report is also proposing changes to the West End Community Plan and the DTES Community Plans? The proposed changes and related motivations are unclear and do not provide the public and council with sufficient information to make an informed decision. Are these not the same transparency issues identified in the recent court decision? – The appearance is that proposed amendments to the DODP seek to greatly increase the amount of bonus density that can be added on social housing or rental projects without requiring a public hearing and only needs approval of the Development Permit Board. This means the replacement housing under development on the developer’s lot could be approved without a public hearing while only the rezoning on the city-owned site would be required independently. Again this is inconsistent with the court ruling that both projects should be considered by the public together as to whether the land swap was in the public interest. Allowing the two projects different approval processes would appear to circumvent the intent of the Supreme Court’s ruling. The CANY letter raises many additional issues worth considering. We encourage you to send this report back to staff for further work and broad public consultation prior to referral to public hearing. NOTE: update of 12 November, 2014 follows. How the Robertson administration has betrayed the public trust and is destroying community planning in Vancouver . Recently, on the spur of the moment, I contacted an individual I have known for a number of years through their work for the City of Vancouver . Since the subject of my call was not directly related to their current activities, I called them at home. Our conversation drifted onto the topic of the suitability of various forms of development. Then suddenly, as if a dam was breaking, out spilled an account of how and why the Grandview-Woodland community planning process went off the rails and was put on hold by the Robertson-Vision Vancouver administration until after the civic election campaign now in progress. In a nutshell, here is what happened: In 2012-13, during the process to update the Grandview-Woodland Community Plan, planners were assigned to produce a new land use plan for the area to be presented to the community for feedback and input prior to completion of a report and recommendations to City Council. The planners created a proposal that was consistent with the city’s population targets for Grandview-Woodland, and which they thought would be favourably received by many members of the community. My source explained that the plan relied heavily on “invisible density”(an unfortunate term, because all development is of course visible). In essence the phrase means new types of development that are generally consistent with existing scale and respectful of neighbourhood character. For example, three storey rowhouses that don’t exceed “single-family” height limits, or four-storey apartments on streets that already allow similar buildings in shopping areas. The proposal also included some midrise apartments along Broadway, and “just a bit of height at the Safeway site to encourage timely redevelopment.” But my source was adamant that this plan included “no towers”, which the planners thought were inappropriate for this neighbourhood, and would be rejected by the vast majority of residents. The proposal was showed to Brian Jackson, the city’s Manager of Planning and Development. “He went ballistic.” Jackson “lambasted” the planners for not including any tall towers. “It was very ugly.” Then he ordered them to go back to the drawing board and produce a plan that packed in as many towers as was possible. Jackson then directed the planners to reduce the number of towers by half. Again they complied, but once again “under protest”. This satisfied Jackson (and presumably Robertson and Ballem). The plan was released in a document titled Emerging Directions. My source commented that while they were developing these plans the planners “anticipated and prepared for FOI” (Freedom of Information) applications. The public response in Grandview-Woodland was outrage, not only due to the towers, but because these “directions” had “emerged” from the planning offices without public involvement in the topics of new building types, density or scale, and because development options that did not utilize towers in the Broadway-Commercial area were not included. What the public didn’t know is that the planners who had been studying the area and meeting with the community on a variety of topics had in fact done extensive work to produce the kinds of low and midrise options that residents were requesting, which the planners also favoured but had not been allowed to present to the community because of the secret directions from Robertson, Ballem and Jackson. Although meaningful public involvement and influence in Vancouver planning decisions has been in steep decline since EcoDensity was approved by the NPA administration led by Sam Sullivan and Suzanne Anton, which Robertson and Vision replaced after the 2008 election, such extreme lack of public involvement in major land use change is unprecedented in Vancouver planning history. My source characterized the Citizens Assembly as “a PR exercise” and said they saw nothing to indicate that the administration is willing over the long run to drop plans for towers in Grandview-Woodlands. My source then explained why they think this administration is so hung up on towers, even though similar densities can be achieved with ground-oriented forms that respect human scale, promote neighbourliness, preserve public views and access to sun and sky, and are better received by residents in most Vancouver neighbourhoods. Jackson’s fondness for towers was one of the main reasons he was hired to replace former Planning Director Brent Toderian, who also likes towers, but not to the same extent. Toderian’s reluctance to recommend towers on certain sites because of livability and urban design considerations was a major factor in his being fired “without cause” following the 2011 election. According to my source, and others I have talked to, Toderian’s discomfort with unprecedented political interference by the Vision Vancouver-run administration was a related factor in his departure. But Jackson was a good fit for this administration, which is similarly fixated on towers. My source explained that this is because most big-time developers are demanding towers, largely because of the availability of foreign capital for investment in this form, but not in low and midrise multi-family housing. Robertson and his advisors are hoping that eventually this offshore interest in Vancouver real estate will lead to foreign business investment. Meanwhile, major up-zonings and development policies that call for towers is feeding land speculation that contributes to making Vancouver even less affordable, despite increases in the housing supply. Another cause for the tower fixation, explained my source, is this administration’s “addiction” to obtaining revenue from development, which is most easily accomplished through towers. But like other addictions, this one is subject to the law of diminishing returns. As land prices balloon in expectation of major redevelopment opportunities, the value the city can capture for public benefits and non-market housing from “land lift” (increased value due to more intensive use) is shrinking. There is nothing to indicate that the current administration’s addiction to towers and developer political patronage is abating. My source spoke of towers all along Broadway to UBC. Real estate interests—not sound transportation policy—is the driving force behind Robertson’s fiscally irresponsible call for a subway from Central Broadway to the campus, which can only be accomplished by depriving the rest of the city (and region) of much-needed transit improvements, and by using the city’s share of proceeds from scores of new residential towers in the West Broadway corridor to help fund a subway, while public amenities and non-market housing are neglected. My serendipitous discussion with this inside source confirmed what many have been saying: that the Robertson administration has badly lost its way and is unwilling to re-evaluate their development policies and strategies, or be upfront about their motives, substituting public relations campaigns for meaningful collaboration with the Vancouver public. Ned Jacobs, November 2, 2014. This excerpt (see following) from a Price-Tags posting confirms information contained in my open letter of November 2, with one minor discrepancy probably due to loose terminology: My source—to the best of my recollection—said there were “no towers”, but “just a bit of height at Safeway.” My assumption, therefore—although my source wasn’t specific—was that this “bit of height” would be less than 20 storeys (above which, in current parlance, high rises are usually termed “towers”). Still, there were just two buildings of up to 25 storeys in the suppressed plan (not 10, some over 30 storeys), and presumably the planners did not intend this plan to be “written in stone”—that is, staff might consider modifications in response to community feedback. “Here is what really happened speaking as the city’s Senior Urban Designer at the time the GW process was tabling built form. Politics in the City of Vancouver is branded as a battle between Vision Vancouver on the “left” and the Non-Partisan Association (NPA) on the “right.” However, their policies have turned out to be virtually the same regarding development when each had the majority on council over the last three terms. In 2007, then NPA Mayor Sam Sullivan created EcoDensity, which promoted increased density as the answer to the challenge of climate change. It effectively took the position that density is good and more is better. The facts do not support this. Towers are the least energy efficient form of development because of their glass-wall, concrete construction and elevators. High density development inflates land values; this in turn increases redevelopment pressure on the more affordable older building stock. Only about 10% of the city’s cost of infrastructure and services for each tower is covered by development fees; the balance is subsidized by everyone’s property taxes. Increases in property taxes make home ownership more expensive. As it became obvious that the supported community plans were under threat by EcoDensity, 23 neighbourhood associations from across the city banded together under an umbrella group called Neighbourhoods for a Sustainable Vancouver (NSV). This led to a city-wide movement against the ill-conceived policy. Since 2009, when all but four of the 224 homes at Little Mountain Housing were demolished, the 15-acre site, which housed a well-functioning community in 2007, has sat fenced off and empty except for a scattering of trees. A single rowhouse building remains because several of the tenants courageously refused to be displaced by BC Housing. 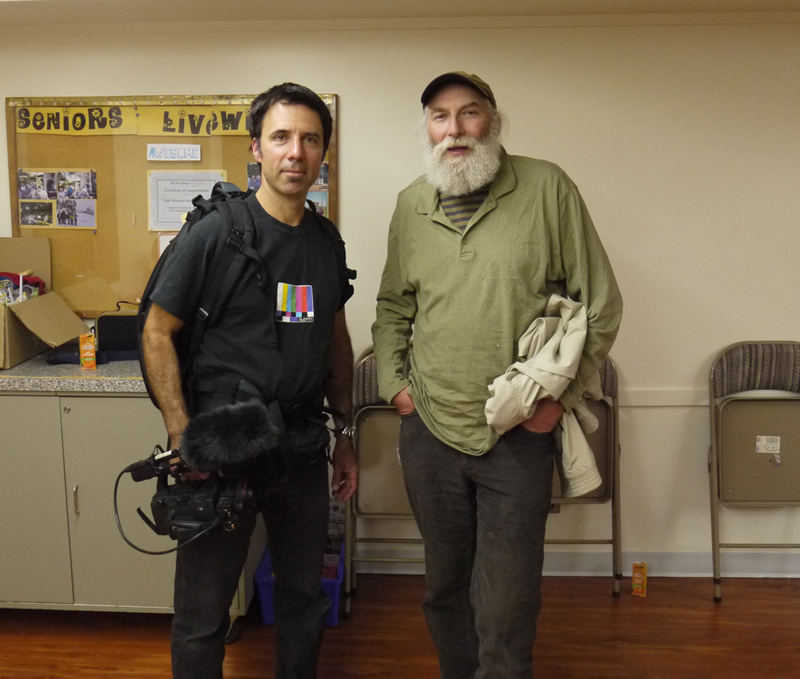 Rather than forcibly remove the tenants, which would have made the provincial government’s ongoing public relations disaster even worse, they were allowed to remain, as chronicled by documentary maker David Vaisbord. Note: This opinion piece was published by the Vancouver Sun on June 9, 2014. The City’s Heritage Action Plan goes before City Council on June 10. Photo caption: Two Tudor-style houses known as the Two Dorothies were recently saved from demolition by being moved, but may be stripped down to the studs because they’re going to be strata-titled, which kicks in provisions that would require them to be rainscreened and seismically upgraded. Demolitions of heritage character houses are the subject of the City of Vancouver’s heritage action plan going to city council this week. Although it is a step in the right direction, concerns remain. 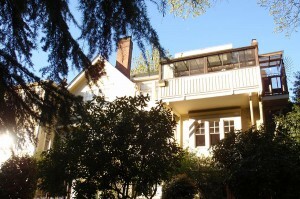 The city’s report is in three parts: (a) Steps to enhance protection of First Shaughnessy and pre-1940s character houses; (b) Encouraging reuse and recycling of construction waste from pre-1940 homes and construction and demolition-waste diversion strategy; (c) Vancouver heritage register annual update. A few of the proposed actions may help discourage a repeat of the more than 1,000 demolitions in 2013, however, many of the interim actions may not be effective, and most of the long-term solutions will not happen until 2015, after the next election in November 2014. The demolition of character houses undermines the city’s green initiatives, affordability objectives, and neighbourhood character. It is a result of current policy, some of which is recent. Although demolitions in Vancouver have been a problem for several decades, recent changes have made the situation worse. Under EcoDensity approved by the NPA council in 2007 and then implemented by the Vision council in 2009, there have been a number of zoning and policy changes under which demolitions increased dramatically. 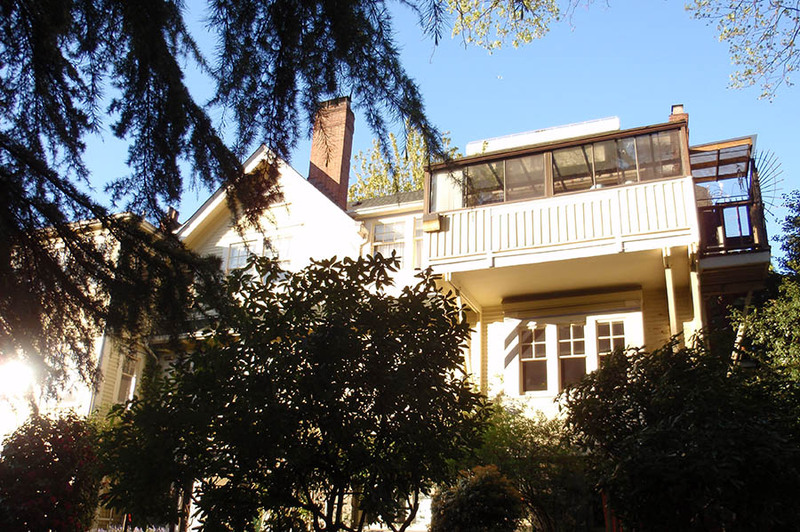 Contrary to Vancouver Heritage Commission recommendations, laneway housing was approved for new house development outright rather than being reserved as an incentive to retain existing character homes. Then, further, the city added increases in height and density to the zoning. In essence, this has created a bonus to demolish and is responsible for much of the recent increase in demolitions. The current report to council attempts to counter this pressure to demolish character houses. However, the most glaring omission is the report fails to deal with the building code. … Caroline Adderson and the Vancouver Character House Network have about 4,000 signatures on a petition to save character houses from demolition and over 4,400 likes on Adderson’s Facebook page called Vancouver Vanishes, where she has been chronicling the demolitions for over a year. There is strong public support for dealing with this issue. The VCHN has sent a letter to council that includes a number of recommendations. The letter emphasizes that deconstruction is not heritage preservation, but waste management. More should be done to make keeping and renovating these homes easier, making demolition less attractive while being fair for existing owners. … The public needs to be generally more involved in how the heritage action plan is implemented and policies created. Read the whole article in the Vancouver Sun here. 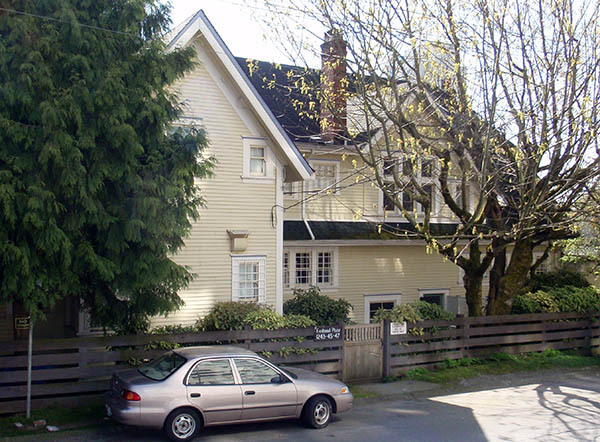 The Vancouver Character House Network have requested that NSV post their letter to council on the Heritage Action Plan report going to council Tuesday, June 10, 2014. The letter notes that although the report is a step in the right direction there are a number of concerns. Of particular note is that the report includes proposals that would impact RS and RT zones, without public input. Also, the current building code is biased towards new construction and adds significant impediments for renovation of existing character buildings. The report fails to address this issue. 1. Deconstruction is not heritage preservation, but waste management. The city should also include in their proposal changes to the building code which make renovation of older homes easier at the same time they penalize demolition. 2. The city is using “pre-1940” as their cut off for heritage and character homes. The standard definition is “pre-1940s”. In other words, they are ignoring a decade of beautifully crafted homes. 3. The city planner reserves the right to recommend demolition of “character merit buildings” on “underutilized lots (a small building on a large lot)”; this describes most West side homes. Please demand that this clause be removed. 4. Zoning changes should only be implemented with neighbourhood consultation. The public needs to be involved. The Vancouver Character House Network thank you for this report. Although it is a step in the right direction, we have a number of concerns. Generally, since the public has not been consulted on the proposed provisions prior to the report being presented for council approval, we would appreciate the issues raised below be considered for amendment of the report. We also request that the public, and particularly affected communities, be included in the monitoring of the interim provisions and have input in a collaborative process into creating the zoning changes being contemplated. Further, we have concerns about the implementation of heritage density bonusing in RS and RT zones at the discretion of the Director of Planning without a public hearing or community input. This is discussed in more detail below. There is nothing in the report dealing with the building code that is biased towards new construction. For instance, rain-screening the existing exterior walls of the character houses should not be required. Also, when a house is moved it should not be required to be brought up to full current code compliance. Often the upgrades alter the very character that make a house worth saving. Heritage building owners should not be forced into upgrades that increase the financial burden of maintaining a building. Relaxing the building code for pre-1940s homes will encourage retention and keep more affordable, liveable homes out the landfill. The city use “pre-1940” as the cut-off date rather than “pre-1940’s”. It would not include any buildings after 1940. Many areas of the city were built in the 1940’s and these are houses that should indeed be considered character and covered by this criteria. Recommendation: Replace “pre-1940” with “pre-1940’s” where ever it appears in the document. Innovative proposals for retention which might include extra density or other relaxations that involve discretion in applying guidelines, policies and regulations may be considered. Staff are encouraged to consider alternative approaches that avoid the loss of potential heritage/character buildings wherever possible. This could include additional floor area in the existing building and/or laneway house, additional dwelling units, and relaxation of other regulations that would encourage retention. It is unclear what the limits to these variances might be, if they are just at the discretion of the Director of Planning or if the public has input to this process. It is important that checks and balances are in place rather than this kind of open ended policy which is vulnerable for abuse. Any relaxations should be economically neutral; there needs to be a process to determine that it is within reason. Recommendation: Relaxations in RS3 and RS5 zones should not be unlimited and should require support from adjacent affected property owners. Where buildings do not have character merit, the building may be demolished and the conditional aspects of the development application may be considered. There may be some limited circumstances when the demolition of a character merit building will be considered by the Director of Planning. For example, if a property is underutilized (a small building on a large site) which could result in large additions that would impact the character value of the original building; or if the building is structurally unsound (confirmed by a registered structural engineer). Since most character buildings are below allowed maximum FSR, this clause that allows demolition of character merit buildings could apply to a majority of these houses. Recommendation: Delete property underutilization as a reason to allow demolition of a character merit building in RS3 and RS5 zones. Provide other incentives to make it economically neutral for retention. The vast majority of RS zoning is RS1 at 77% across the city. RS1 doesn’t have conditional provisions so under this proposal the city will not be able to refuse an application on that basis. Variances of dwelling unit density and parking/ loading relaxations, as well as heights and yards and similar provisions, are not included in the limitations noted above. The Director of Planning may support and/ or grant these variances and/ or relaxations provided the Director of Planning concludes that these variances or relaxations are supportable with respect to view and privacy impact, shadowing, and livability. There are no clear limits to proposed relaxations; or how it will be determined whether these relaxations are reasonable compensation to ensure that it is economically neutral for the retention option; or if the relaxations are in fact supportable by those affected adjacent property owners. Recommendation: Ensure that relaxations are limited, reasonable and supported by the affected adjacent property owners. Appendix D – page 3 of 3 – has two tables showing how a 10% density bonus under the discretion of the Director of Planning for retaining a character merit building would result in increased FSR for all RS and RT zones. RT 3, RT7 and RT8 already have conditional aspects to their zoning as incentives for character house retention. They should not be included in this further density bonus incentive proposal. Recommendation: Delete RT3, RT7 and RT8 from the additional 10% density bonus incentive. There has been no public discussion of this provision for the other RS and RT zones and it is unclear at this time whether this is supported for these areas either. Recommendation: Consult with public as to if additional 10% density bonus incentive is necessary for the other RS and RT zones. There still is mention of RT10 and RT11 in the report. These are not retention-based zoning. They were designed for the neighbourhood rezonings of Knight and Kingsway, and for Norquay. They would destroy any remaining character in the city with further incentives to demolish character buildings if implemented in RS zones and should not even be considered as part of this process. Recommendation: Delete references to RT10 and RT11 in regard to potential zoning changes to RS zones. The city is considering strata in RS zones. Strata should be kept only for heritage projects that are registered on title under an HRA. Otherwise we will lose the non-strata rentals that are a priority for affordable housing policy. Further, if strata is allowed for new development as well, this would put more pressure on demolitions, not less. Recommendation: Do not allow strata in RS zones other than for HRAs to protect non-strata rentals. Deconstruction is not a means of heritage protection; it is the opposite. Wood is the predominant material in single family homes in Vancouver and a 2200 ft2 house can contain approximately 100 tons of materials of which more than 50 tonnes is wood (structural framing, flooring, and siding). By using deconstruction techniques, wood and other materials can be separated, sorted, and can be more easily reused and recycled. For example, if 80% of wood from a typical pre-1940’s one/two family home is captured for reuse or recycling, an additional 40 tonnes of waste could be diverted from landfill per demolished home. The best way to recycle the 100 tons of materials in the average 2200 ft2 character house is through reuse of the building rather than just recycling of materials. Recommendation: Reuse of character buildings on site should be the priority, not deconstruction. Recommendation: The city should not allow demolition (deconstruction) permits to be issued prior to the issuance of development and building permits. The city should make it easier to relocate a whole intact house to another lot by improving the building code to relax upgrade requirements. Currently, moving a building requires a full code upgrade compliance of the building and that is too onerous for an older character house and will destroy its character defining features. Also, the city should make it financially viable for house moving costs of infrastructure to facilitate the move. Recommendation: Make it cost effective to move a whole intact character house by amending the building codes and by reducing city moving costs. The efforts to save character houses in RS zones do not need to be held back until after the Heritage Register Update is complete. Recommendation: The review of the RS zones (and some RT?) to improve character house retention should be undertaken immediately in a collaborative process with the affected communities. The Legg House should be removed from the register as a Heritage A building as it has been approved for demolition and will be gone by this weekend. Recommendation: Remove Legg House – Heritage A from Heritage Register as demolished. Any historic places added to the inventory should be shown separately from buildings as is the practice with Landscape Resources. Recommendation: Show historic places separately from buildings on Heritage Register. Thank you for the report, which is a step in the right direction. We request that you amend the report to reflect the concerns raised here. In future we would appreciate being fully involved, along with the public, in the implementation of the Heritage Action Plan, including all stages well in advance of decision making on an incremental process through completion. Demolitions of heritage character houses are undermining the city of Vancouver’s green initiatives, affordability objectives, and neighbourhood character. There were more than 1,000 demolition permits issued in 2013, most of them for single-family homes. Each demolition sends more than 50 tonnes of waste to landfills and results in a more affordable home being replaced by a very expensive, much larger house, which is frequently left vacant. The loss of these solid livable homes, affordable secondary suites and mature landscaping is dramatically transforming the character of entire neighbourhoods. The city claims there is not much it can do, but that is not the case. The city’s own zoning bylaws and building codes are largely responsible for the current rate of demolitions. This is under the city’s control. Although demolitions in Vancouver have been a problem for several decades, recent changes have worsened the situation. Under EcoDensity approved by the Non-Partisan Association council in 2007 and implemented by the Vision council in 2009, there have been a number of zoning and policy changes that have resulted in demolitions increasing dramatically. Contrary to Vancouver Heritage Commission recommendations, laneway housing was approved for new house development outright rather than as an incentive to retain existing character homes. Then further, the city added increases in height and density to the zoning. In essence, this has created a bonus to demolish. Reproduced below is the full text of the NSV letter submitted to Vancouver City Council concerning the Marpole Community Plan. This planning document will be debated at a Council Committee meeting on April 2, 2014 at 2 pm. Neighbourhoods for a Sustainable Vancouver (NSV) acknowledges that progress has been made since the Marpole Community Plan process was extended. Concerns remain, however, that have not yet been resolved. Although the controversial “Thin Streets” has been removed from the plan and much of the single-family zoning remains as requested by the community, other aspects of the plan still need to be resolved. These issues are of city-wide concern since they could set precedents and have broader impacts. lack of consultation and no general support for possible future relocation of the Marpole Community Centre from Oak and West 59th Avenue. lack of clarity on how other city policies such as the Cambie Corridor Plan Phase 3 may further impact the area of the Marpole Community Plan within the Cambie Corridor. Foregoing and other outstanding concerns should be addressed through ongoing neighbourhood-based consultation and with local support established through a neighbourhood-wide survey prior to approval of the Marpole Community Plan. Reproduced below is the NSV letter submitted to Vancouver City Council concerning the Downtown Eastside Local Area Plan bylaw changes that will be debated at a Public Hearing on April 1, 2014 at 6 pm. These bylaw changes will affect Gastown, Chinatown, Victory Square, Thornton Park, Hastings, Oppenheimer District, industrial lands and Strathcona. Neighbourhoods for a Sustainable Vancouver (NSV) is opposed to this proposal for the Downtown Eastside Local Area Plan zoning and other bylaw amendments. The issues raised when the Local Area Plan was approved by council still apply, and this rezoning should not be approved as proposed. The plan covers very diverse neighbourhoods with many varying community interests. However, this plan is not supported by the affected communities. The process appears to have been orchestrated by the City to put these communities in greater opposition to each other to better serve development interests. A neighbourhood-based process is needed to better address local concerns and needs. Much of the community is made up of vulnerable low income people who will be further threatened, displaced and impacted by the increased development proposed. Redevelopment will not help the vulnerable populations that need senior government supports which are not addressed. These areas were previously heritage protected both by the province and the city. This is no longer the case. The proposed plan encourages redevelopment without adequate heritage protections that will further inflate land values and increase heritage density transfers that can now be landed in the neighbourhood instead of transferring to outside of the area to reduce development pressures. The tower form of development contemplated for this area is not consistent with the heritage character and will make housing more expensive without adequately addressing real affordability. This plan should not be approved as proposed and should be reconsidered under a better process that is community supported. PS. Please leave contact information in posted letter online.